Early June, I get this best moment of lighting in the evening before sunset. The window through which the light is coming is at the other end of the house. And just as it finds its away Over The Hill (literally), through the trees, and makes its way across my living room, it does this! 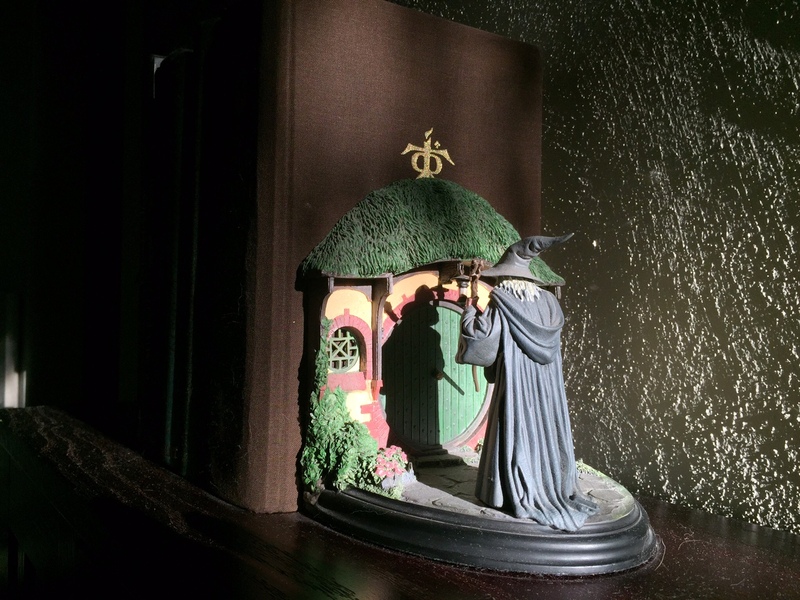 It makes me feel like Gandalf is knocking on the door reminding me to re-read The Hobbit, LOTR and the Silmarillion (and listen to the Tolkein Ensemble discs which are also between those bookends). A happy, lovely accident of placement that means I will never move them!